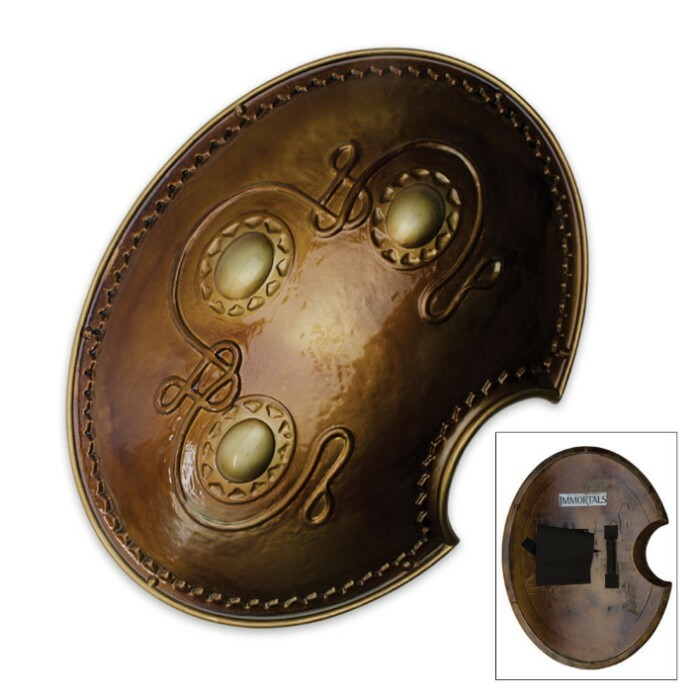 Highly detailed and three-dimensional, this is an accurate replica of the shield used by Hyperion's Heraklion soldiers. The solid cast resin construction makes it possible to include even minor details such as dimples and grooves. A handle and arm band make it easy to sport this shield while wielding your sword. 31 1/4 in. overall.